Michael practices mainly in property law and administrative law. 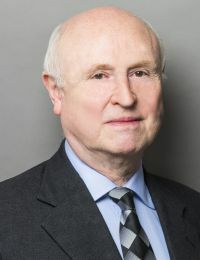 Over recent years he has been in cases in the House of Lords and the Privy Council concerning landlord and tenant law, the rules of natural justice, estoppel and compensation and compulsory acquisition. In recent years he has been on cases in Hong Kong and the Cayman Islands. Michael has been the chairman of a public inquiry into a nuclear power station which lasted over a year and has conducted long arbitrations and inquiries lasting over 80 days. He also has a large advisory practice in all the main areas of property law. Michael is a former editor of Hill and Redman’s law of landlord and tenant, as well as the author of other books on aspects of landlord and tenant law, and of numerous articles in legal journals. Michael is listed in the Who’s Who Legal: UK Bar 2016 for Real Estate. Problems in land valuation (2008) Development Disputes: Current issues for property litigators.